Have a small home, or rooms that you wish were a bit larger? Before you go knocking down walls, consider a change in color scheme! You don’t need to be an interior designer to change your color scheme, simply consult the tips below and create your own transformations, room by room. As a rule, dark colors recede, while light colors advance. In the case of a long and narrow room, consider painting the end walls a darker shade than the longer, narrow walls. In this case, the darker paint will create width while the lighter paint helps to give the illusion of a larger space. Once again, we remember that light colors advance. To make a small room appear larger – try selecting a light color for the walls and choosing furniture in the same color family. Painting some of the furniture in the same light color as the wall can help enhance the illusion of a larger space. Designer Tip: Paint the trim the same color as the walls. “The more transitions you have in a room, the more the eye stops at those points … By painting the walls and trim the same paint color, your ceilings appear to be taller, since there are no breaks in the trim,” says designer Charlotte Lucas. 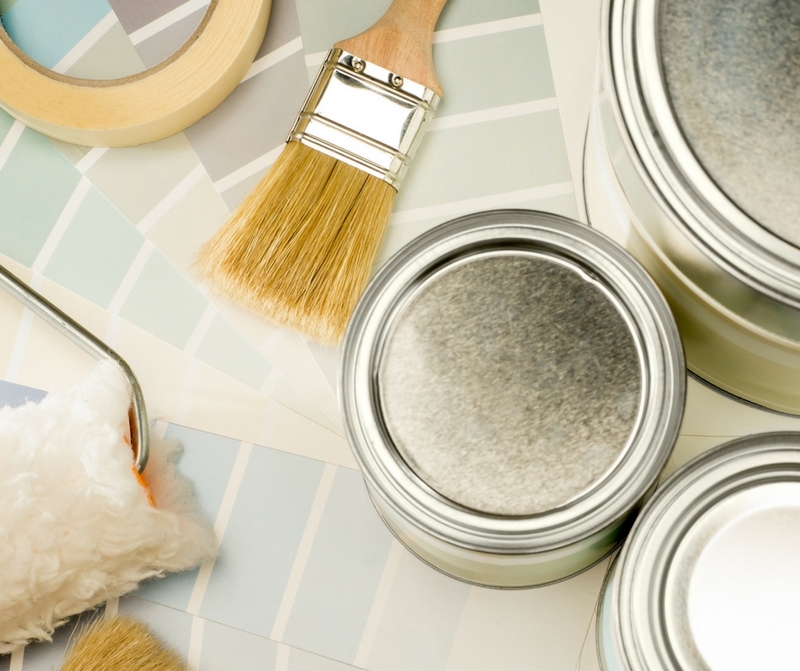 According to Sharper, the number one factor in choosing a paint color is how much natural light enters the room. “The less natural light you have entering the room, the lighter the paint color you should lean toward,” Sharper says. To optimally boost the appearance of size in the room, opt for shades with a light reflectance value above 50. Therefore, these brighter shades bounce back more light than they absorb.